These legs need a shave. 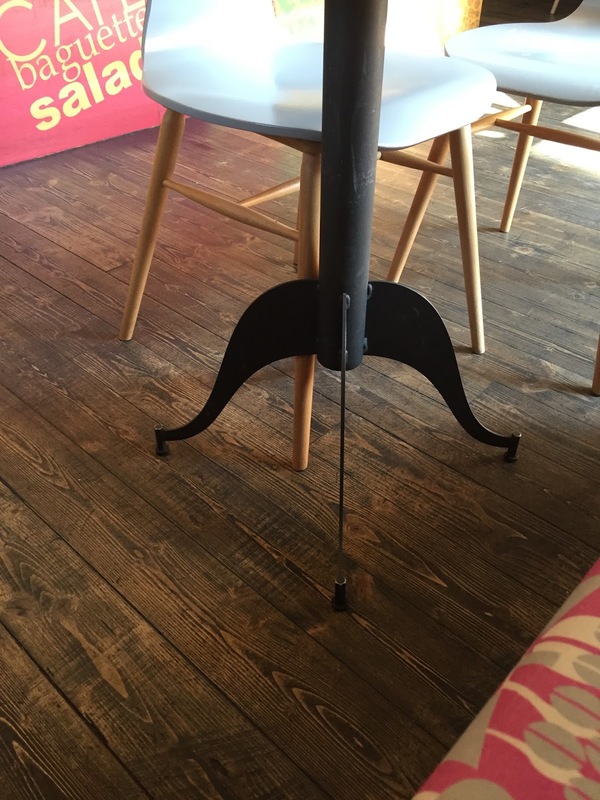 Can you find hipster coffee in Olomouc? That was my challenge. Well challenge accepted and achieved. The coffee revolution is spreading and its tentacles are moving across the Czech Republic to be found even in its most far flung outposts. 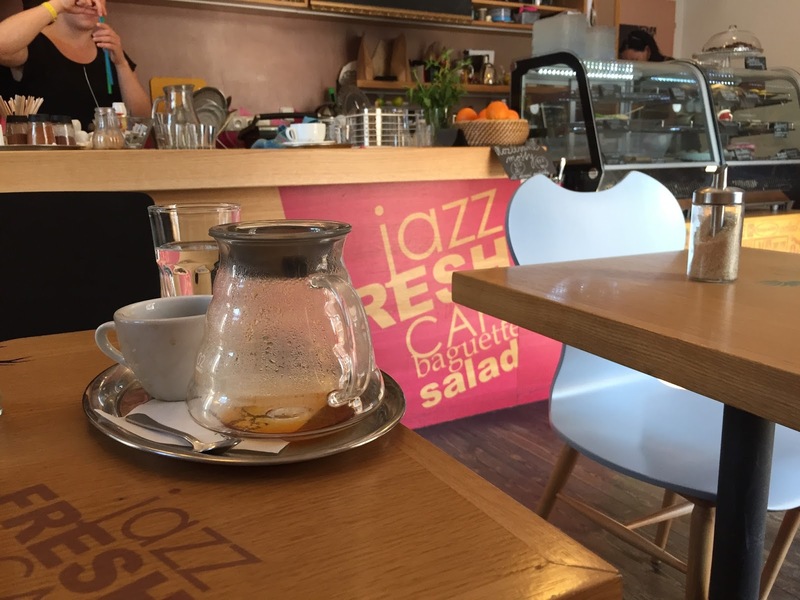 Jazz Fresh café is a sweet little place near the Metropol cinema in Olomouc, the walls are covered with quirky pictures that look like Monty Python paid a visit while high on hipster coffee. Predictably, soft jazz music fills the air and the place bustles with energy. before I drank the coffee. there’s not a Macbook in sight and beards are few and far between, although the one that was seen was mighty impressive. Maybe the masses of Moravia are not ready for full on hipster yet. Maybe they need time to get used to the idea that coffee doesn't have to be roasted to within an inch of its life to be drinkable. 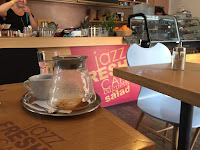 It’s interesting watching the customers come in, it is like they sense there is something different, it’s not a normal café but they can’t quite put their finger on why not. They look slightly perturbed but don’t know why. They look around to see if the room is slanting or the walls are slowly moving in on them but everything is fine, the staff reassure them with a smile and they drink their espressos and cappuccinos in an uneasy peace.